The last team to win back-to-back World Series titles was the New York Yankees in 2000, when they pulled off a three-peat. The Red Sox now face that uphill climb, and with it comes some unique challenges. 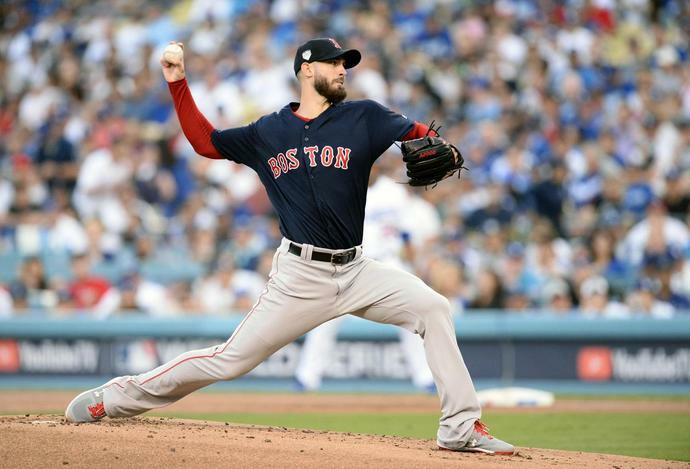 "You take away what we felt coming away from that last win in L.A.," Red Sox pitcher Rick Porcello said at spring training, per NESN. "It's a fine line, and there's a balance. You have to turn the page, too, and focus on what's in front of us: 2019. The ball clubs that we're going to be playing are going to feel differently about playing us. We're going to have a bit of a target on our back. We're expecting to get everyone's best game every night. We're going to have to play our best to stay where we want to stay." The Red Sox have had mixed results in their three most recent World Series title defenses. Boston was eliminated in the 2005 American League Division Series after a historic run in 2004. The Sox lost in Game 7 of the 2008 American League Championship Series following a dominant 2007 campaign, and they failed to even make the playoffs in 2014 as defending champs. Repeating as World Series winners will be incredibly difficult for the Red Sox, but it's certainly not an impossible task given the fact they've brought back almost the same roster that won it all last season. Nathan Eovaldi gave the Red Sox a strong start, but the bullpen couldn't keep it together as they fell to the Yankees again on Wednesday night, 5-3.